Home > Used Vehicles > Volkswagen > Golf > 2016 > 2016 Volkswagen Golf Comfortline w/ Convenience Pkg. 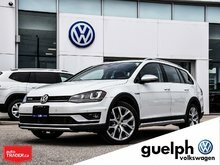 2016 Volkswagen Golf Comfortline w/ Convenience Pkg. JUST TRADED IN!! CLEAN CARFAX!! This vehicle is in phenomenal condition and is ready for a new home! We have done the necessary work to make this vehicle just as great as the day it was sold new! With just over 30,000km on the odometer this vehicle is barely broken in and is will be a safe, reliable vehicle for many years to come! Not only is this a Comfortline which gives you great features like a Heated Leatherette Seating and Alloy Wheels it also has the Convenience Package which adds a ton of value and features including Blind Sport Detection, Panoramic Sunroof, Navigation and Light Assist! 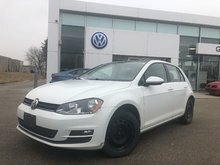 MAKE THIS A VOLKSWAGEN CPO for ONLY $1,000!!! 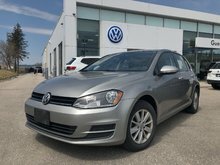 Not only has this vehicle been restored to factory condition by our certified technicians but also have the OPTION to make this vehicle Volkswagen Certified Pre-Owned! The extra benefits are great! Certified Pre-Owned Volkswagens undergo a 112-point inspection by our factory-certified technicians. This allows them to uncover any potential issues and repair or replace the parts using all Volkswagen Original Parts – before we sell the vehicle to you. 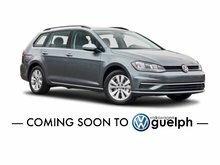 Interested by the 2016 Volkswagen Golf Comfortline w/ Convenience Pkg. ?